Industrial safety under international standards is organised under a series of protection layers, which include at the base levels, plant design, process control systems, work procedures, alarm systems and mechanical protection systems. Towards the apex of the protection layers lie the safety shutdown systems and the fire and gas system. The safety shutdown system is a prevention safety layer, which takes automatic and independent action to prevent a hazardous incident from occurring, to protect personnel and the plant equipment against potentially serious harm. In contrast, the fire and gas system is a mitigation safety layer that is tasked with taking action to reduce the consequences of a hazardous event after it has occurred. The hazardous event could be a gas leak, which with early detection can be addressed before personnel are affected or a fire starts, or a fire, which can be mitigated by isolating fuel sources and activating automatic defensive devices such as sprinklers and deluges. Shell's new safety system will replace a number of proprietary fire protection systems that have monitored the Clyde refinery for some 12 years. Problems with sourcing spares and maintaining the system presented Shell with the opportunity to replace the fire and gas safety system and integrate the new system into the plant's existing DCS. Tenders for the supply of a new system were called from suppliers and assessment criteria included price, technical conformance to the specification and ongoing support. "As expected, each of the tenders addressed the technical and performance requirements for the new system," Peter Archibald, instrument/electrical manager at the Clyde refinery said. "Yokogawa's experience at the site, the ongoing outstanding performance of its Centum CS3000 DCS and its strong product support culture were significant factors when the final decision was made." Released in February 2005, the TÜV-certified ProSafe-RS SIS meets IEC 61508 and IEC61511 safety standards and is designed for integrated use with process automation applications. Used to constantly monitor the status of process-oriented plants, the system ensures safety by responding in a predictable manner whenever an unsafe condition is detected. In line with Shell's requirements, the new system will be configured to meet a SIL3 rating. 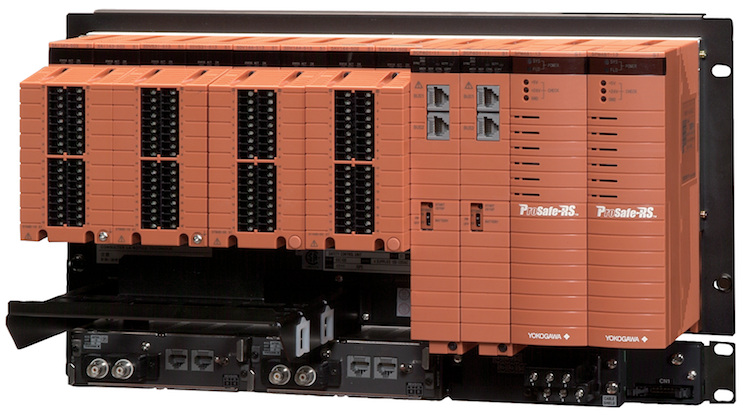 The design of the ProSafe-RS system will see this requirement achieved using single I/O modules only. "Yokogawa has a strong track record in building and providing engineering expertise," Archibald said. "We are more than happy with the options and overall solution they have offered." The new ProSafe-RS system will be integrated into the facility's CS3000 network and sit alongside the existing safeguarding system to give operators a unified view of the process and safety systems throughout the plant. Installation of the system began in March 2007 with the installation of the control equipment, followed by the phased changeover of field devices. Yokogawa has also entered into negotiations with Dräger Safety AG & Co KGaA in Germany to collaborate on the development of the world's first Foundation Fieldbus Fire and Gas Alarm System. The use of fieldbus will reduce installation and engineering costs of fire and gas systems and lead to improved availability through the extensive diagnostic capabilities provided by fieldbus.